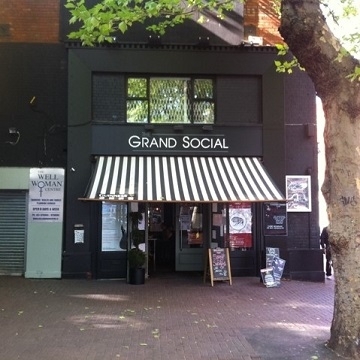 The Grand Social, Dublin citys thriving live music venue. We have carved a superb reputation as a venue with fantastic facilities for Musicians, Performers, DJ’s and audiences. Generally regarded as being one of the best sounding venues in town, The Loft also offers its patrons and promoters a room with a different look and feel to any other in the city. Add into the mix the spacious rooftop beer garden adjacent to the performance space and it’s not hard to see why our venue was recently voted IMRO Dublin Venue of the Year.